I was lucky to receive a free full sized sample of Revlon’s PhotoReady BB Cream from Klout a few months ago. Klout is a great tool that offers several ways to bring influencers and brands together. I have received several awesome perks from Klout since I’ve joined. I kept the Revlon PhotoReady BB Cream aside until summer arrived because I thought it would be a great product for summer seeing as it is basically an all in one product and also contains SPF 30. I didn’t have very high expectations for this BB Cream because I haven’t been very lucky with other drug store BB Creams. I always end up a greasy mess halfway throughout the day. I have combination skin and some products tend to make my face oily. My skin is also fairly sensitive and I am always concerned out breakouts when trying a new face product. The Revlon PhotoReady BB Cream™ with SPF 30 claims that it hydrates like moisturizer, smoothes like primer, covers like foundation and blurs like concealer. The first time I tried the BB Cream was on a hot summer day, I was terrified going out in public and brought some powder along in case my face turned into a hot mess. Luckily the BB Cream is amazing an no powder was needed! Typically I wear the BB Cream alone on my face, as it is a moisturizer, foundation and much more all in one. I have to say, I am very pleased with how the BB Cream made my face look, it hide all my imperfections and the coverage is very buildable. The Revlon PhotoReady BB Cream stays put all day long on my face. It doesn’t cake up, it doesn’t melt away and I am not a grease face by the end of the day. I especially like wearing it when I am at the beach as it gives me coverage and has an SPF 30 broad spectrum. The sunscreen aspect of the BB Cream totally works as my body became much more tanned than my face while wearing the BB Cream. I don’t think I’ve worn another face product, besides an actual sunscreen, that protects my face from the sun as well. I really like the packaging of this product as well, it is in a squeeze tube and it makes it easy to dispense the correct amount of product. The only downfall I have found about this product is that it smells like sunscreen, I am not a big fan of the sunscreen smell. But because I like this BB Cream so much I can deal with the smell as I typically wear it when I am spending time in the sun. It offers great protection from the suns damaging properties and makes my face look flawless while doing it! I will be purchasing the Revlon PhotoReady BB Cream when I run out, actually I already went looking for a backup and they always seem to be sold out. I currently have the colour 020 Light Medium and it works well with my skin tone. I think there are only 3 shades, which isn’t many so hopefully there is one that will suit you. 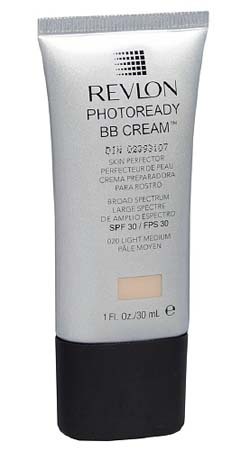 I definitely recommend you check out Revlon’s PhotoReady BB Cream. It is my new go-to face product for the summer months. I have been holding off on trying BB creams because I thought they were a fad. However, I am attracted to the concept. Thanks for the review. I may give it a try now. Yeah I really liked this one because it is convenient for summer and it didn’t make my skin oily. I have tried a few other drug store BB Creams that made my face super oily.